Lyden av Hardanger is a a live media performance and digital video release. A mad hybrid of David Attenborough and Indiana Jones reports in video-game style on his incredible musical findings inside the sounds of Norwegian fjord region Hardanger. 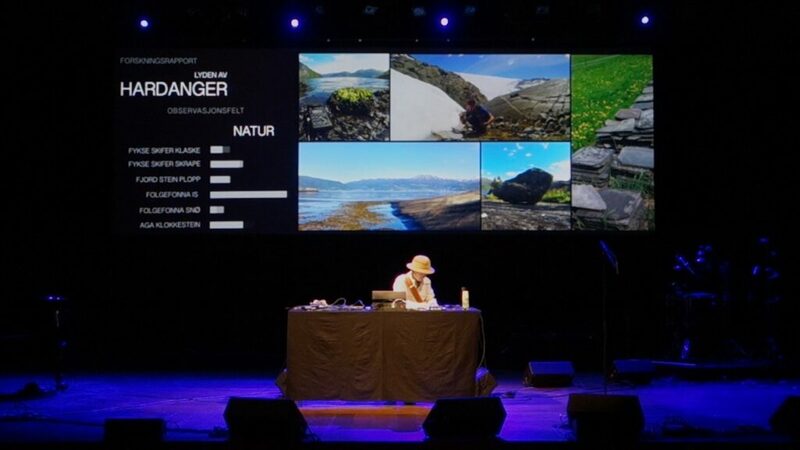 Live performance of an expedition into fjord region Hardanger, for the Norwegian constitutional anniversary in 2014. The mad explorer reports finding peculiar sounds and turns everything into a musical performance, finally uncovering the ultimate Hardanger sound. Using “British Explorer” narrative setup, video-game HUD aesthetics on a dual projection setup. 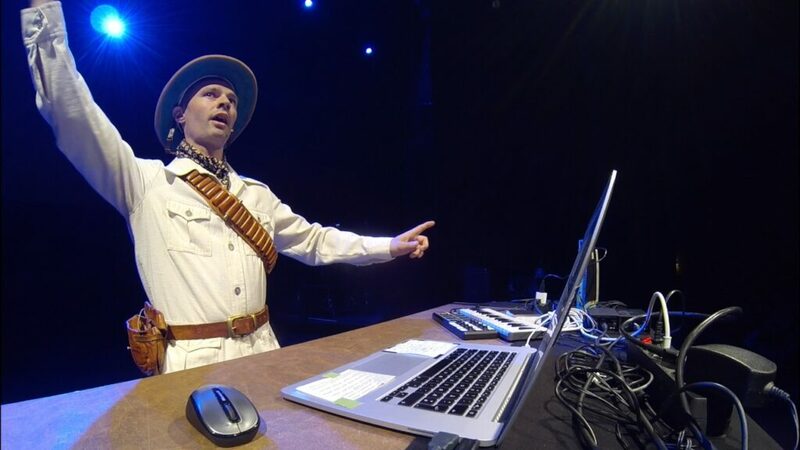 The performance was flanked by two online video releases, Expedition Report uncovering the voyage behind the sounds and Research Report, going into more detail where each sound comes from.